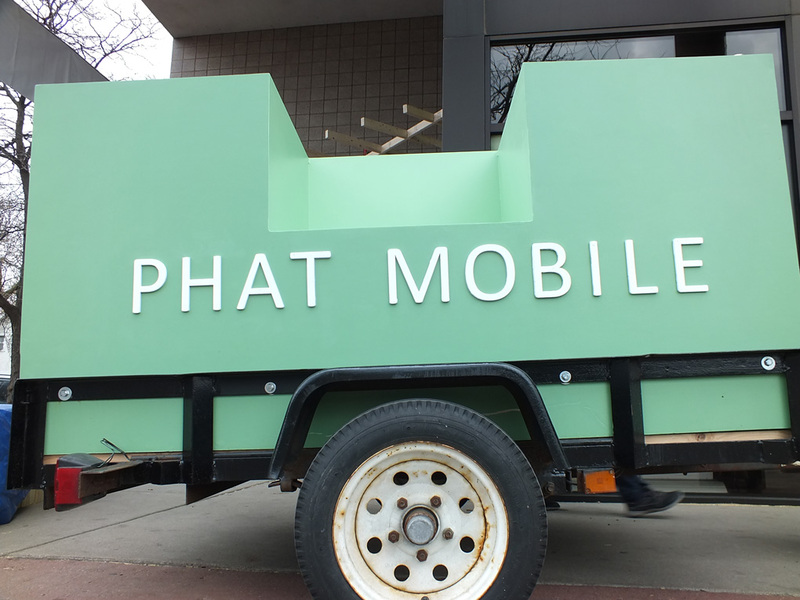 The PHAT mobile is inspired by Pillsbury House + Theatre’s goal to incorporate art into all aspects of the human services they provide. Natasha’s involvement with Pillsbury and their mission began with a year long design project which led the Pillsbury staff along with MCAD students, faculty and affiliates to partner in the design and realization of Pillsbury’s new lobby space, also know as their “Cultural Community Hub.” This internal project was supported by a series of workshops to meet and discuss the possible ways Pillsbury’s identity could be reflected in design, while providing innovative ways to interact and access information about their services. Through the Institute, a time set aside for collective reflection, Natasha met with Pillsbury staff person David Green who works in the area of truancy prevention. 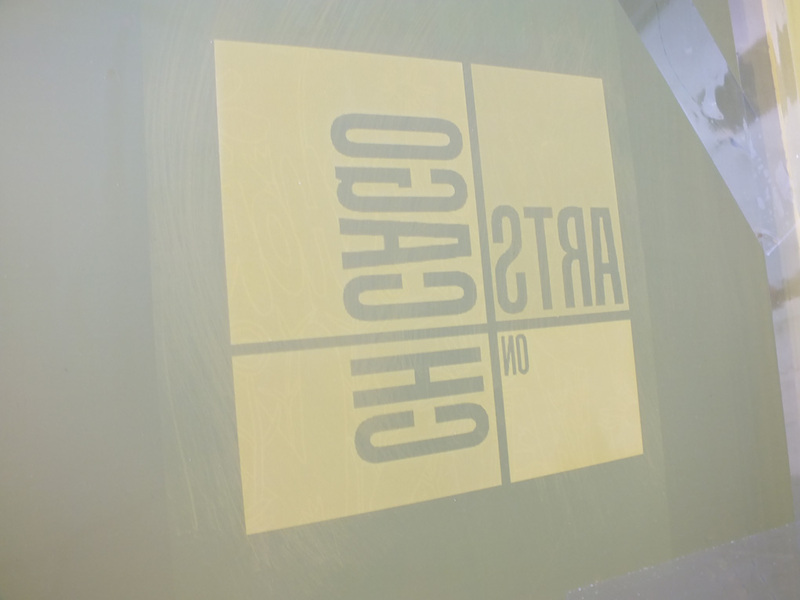 Together they imagined a way to bring art out into community neighborhoods through a mobile screen printing studio and Speaker’s Corner. 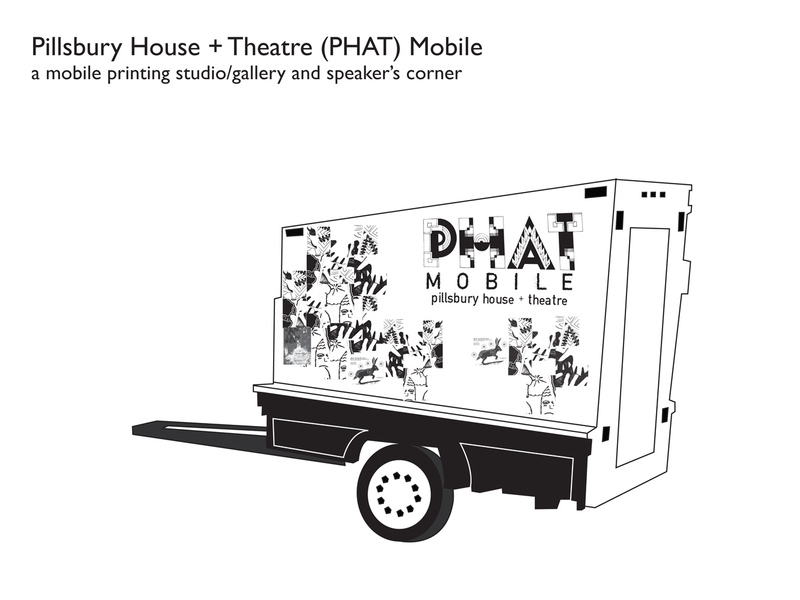 The PHAT (Pillsbury House + Theatre) mobile is an interactive vehicle that includes equipment and tools for screen printing posters, t-shirts and hoodies. Included in the design of the trailer, is a space to mount a sound system. 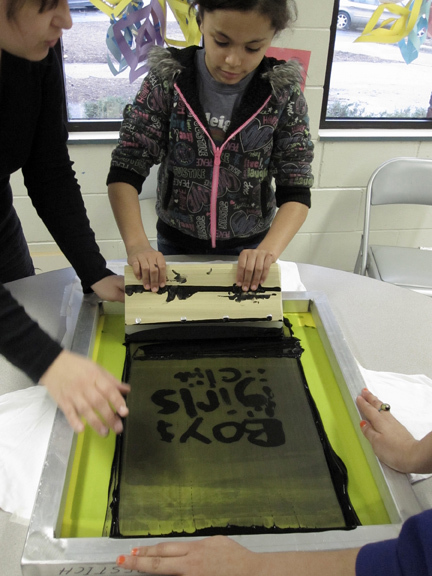 Through workshops and events, neighborhood youth will be invited to make their own designs reflecting the values and joys they see and experience in their communities. 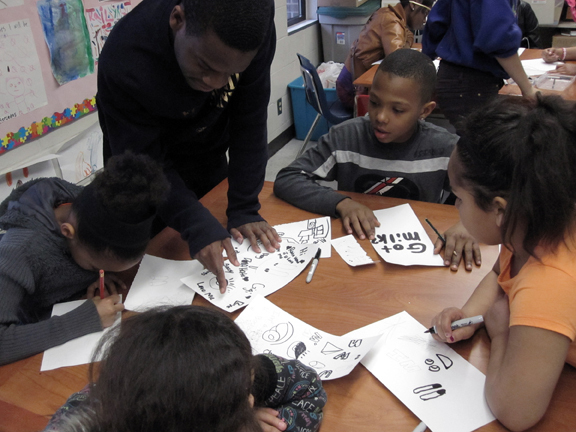 Through the process of inviting young people to make art where they live and work, David and Natasha see a way of building relationships and trust in the neighborhood while educating, informing, and empowering young people. In addition, they want to spread the word about the great programs Pillsbury House has to offer. 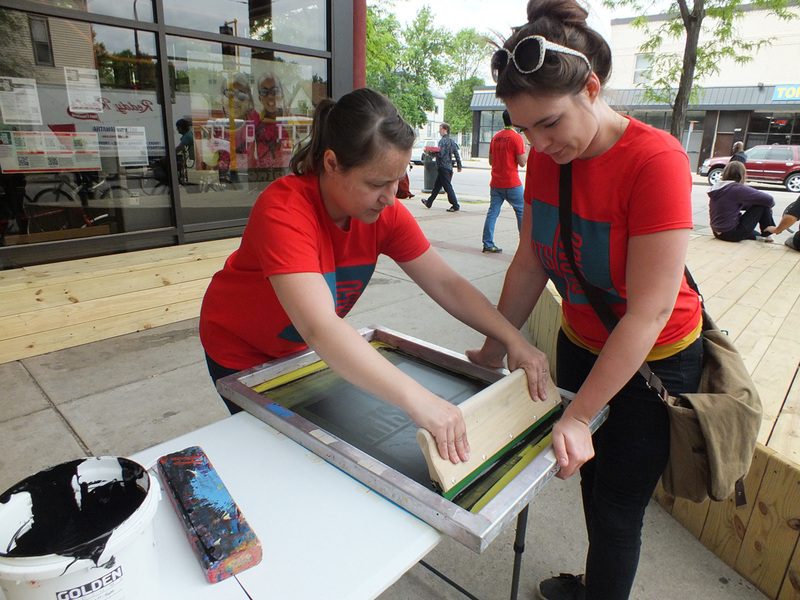 Natasha pulls a screen print at the June 8th Arts on Chicago celebration. 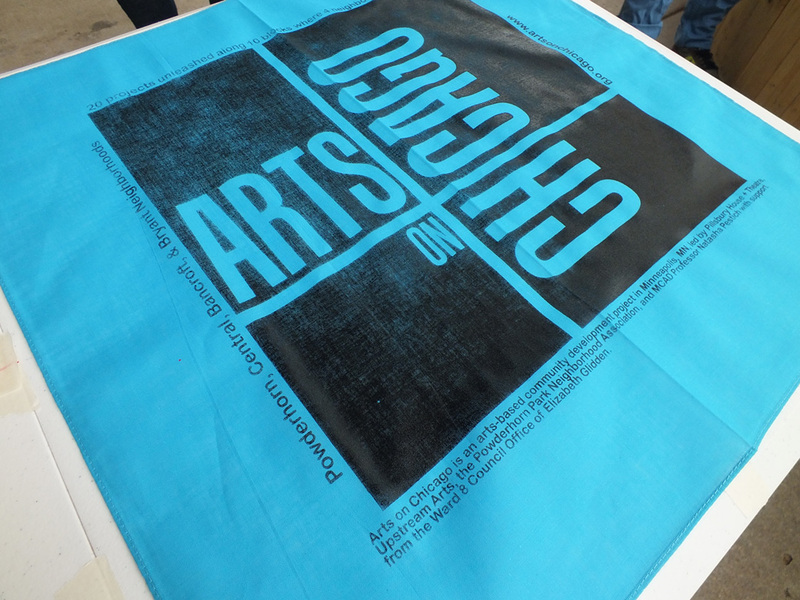 Screen printed Arts on Chicago bandanas, courtesy of the PHAT Mobile. 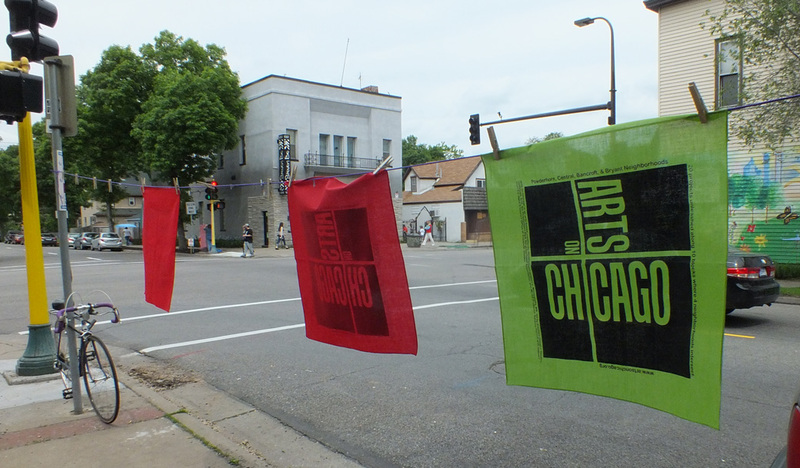 Screenprinted Arts on Chicago bandanas hanging up to dry.